There are so many incredible places this world has to offer and it’s nearly impossible to narrow it down. But here you have it- 10 absolutely incredible, breathtaking places in South America that you NEED to visit! Enjoy! These incredible falls border Argentina and Brazil and trust me when I say the Iguazu Falls are unlike ANY OTHER WATERFALL! Just to put things into perspective, they are twice as tall as Niagra Falls and 2.7 kilometers wide. Only Victoria Falls in Zimbabwe rivals it in size. Travel Tip: If you are trying to get there it is most practical to fly. 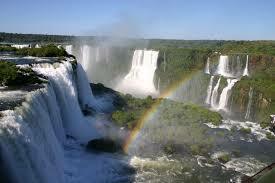 If you want to see them from the Argentina side, fly from Buenos Aires to Puerto Iguazu (about 90 minutes). If you want to see it from the Brazil side (my recommendation) fly from Rio de Janiero to the Brazilian town of Foz de Iguacu (about 2 hours). 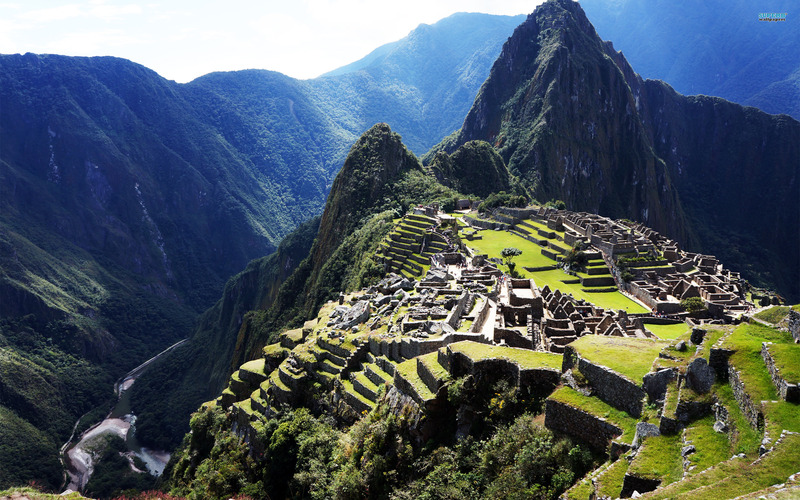 Equally beautiful as it is impressive, Machu Picchu resides just northwest of Cusco, Peru. I have some many questions about this fascinating place. What were the people like that lived there? How did they build such and incredible city? How did they even get there? (I would like answers to all of these questions someday!) The trek up the mountains to the ancient Lost City of the Incas is an experience that should make it to the top of your bucket list! Easter Island is one of the world’s most famous yet least visited archaeological sites.The large statues Easter Island is known for are called Moai. 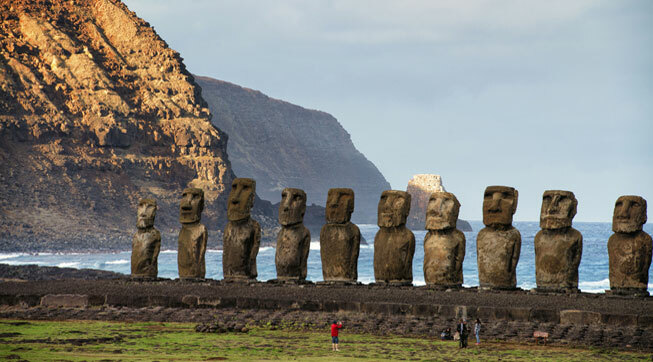 A total of 887 Moai were found on the island. Depending on the size of the statues, it’s estimated that between 50 and 150 people were needed to drag them across the countryside on rollers made from the island’s trees. I would like to go back in time and see that! If you were to take a random postcard from any gift shop in Rio de Janeiro, chances are you’ll spot the Corcovado Mountain with its famous Christ the Redeemer statue. The climb up to this landmark symbol is an absolute must, not only for the chance to see the statue up close, but also because you’ll get an incredible view of the city, the ocean, and the Tijuca rainforest below. Hikes can offer some great views, but this one is on a whole different level! Lake Titicaca is located between southern Peru and Bolivia. It is the highest commercially navigable body of water in the world and the largest lake in South America. I think the coolest part about Lake Titicaca (besides the name) is that you can visit the floating islands and see how indigenous people have lived for hundreds of years. Talk about a blast from the past! 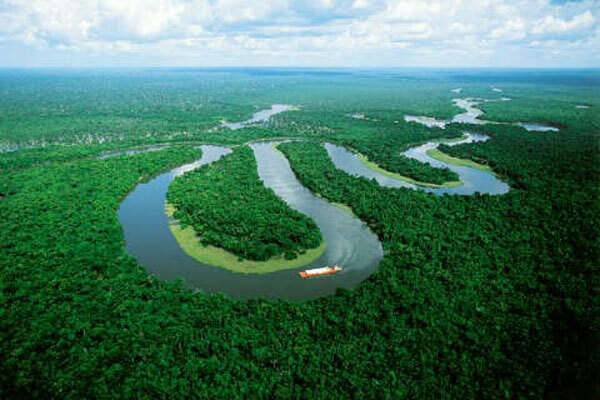 If you go to South America, you most definitely need to take time to explore the Amazon River. It’s so diverse and humongous we would need another post to go into all the things you can do. Regardless, it’s amazing! It runs through 7 different countries so it shouldn’t be too hard to fit it into your travel plans. Because there are potential dangers lurking in the waters (creepy huh?) I suggest a guided river tour! 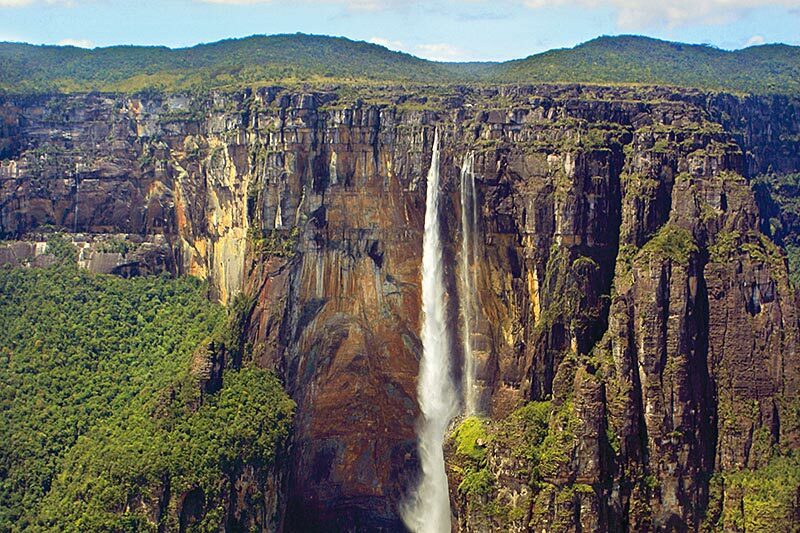 Angel Falls, located in Canaima National Park in Venezuela is the worlds highest uninterrupted waterfall. Canaima National Park is incredible without the waterfall and should be visited no matter what! BUT how incredible would it be to see a waterfall drop over the edge of the Auyantepui mountain in Venezuela, then plunge 3212 feet to the ground (if it makes it). The waterfall is so tall that much of the falling water evaporates or dissipates as a fine mist before it even reaches the ground! Fun fact: the height of Angel Falls is more than THREE TIMES that of the Eiffel Tower in Paris. Usually when people think of South America they think of it as being tropical and warm. SURPRISE! Welcome to Ushuaia- the southernmost tip of Argentina and and incredibly charming town! 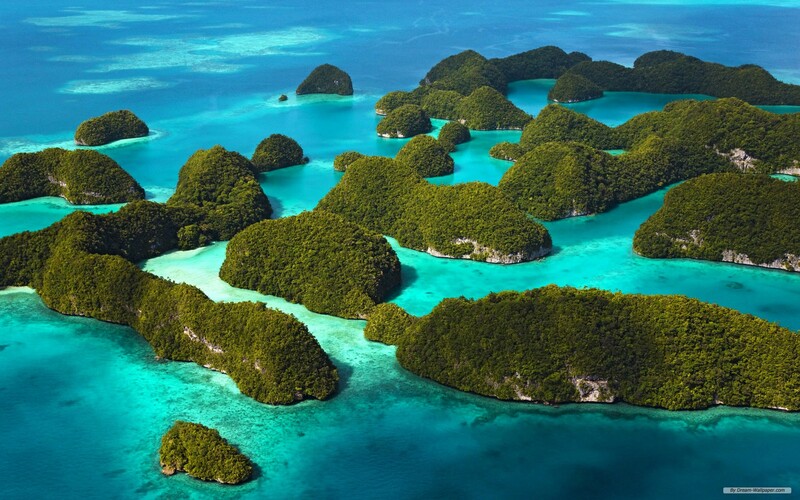 Visit here and you have literally traveled to the ends of the earth! And if seeing cute little penguins in their natural habitat is your thing (how could it not be?) then you will love it! It’s also an adventurous place for kayaking, sailing, and skiing. 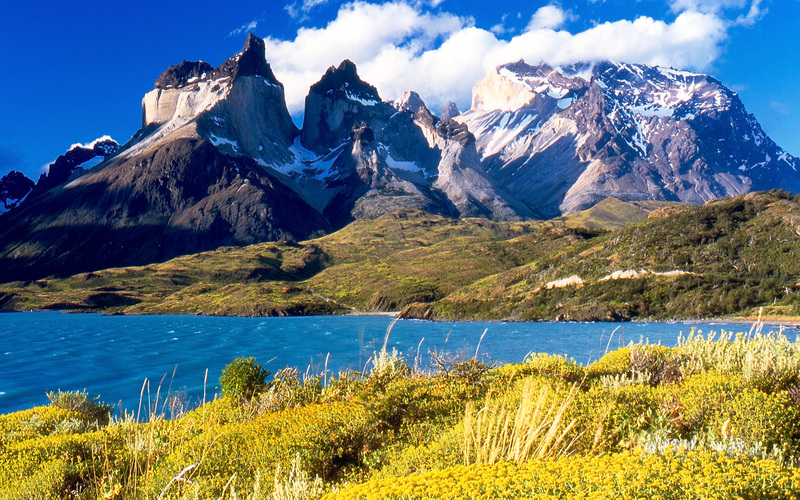 Torres del Plaine is located in the Patagonia area of Chile and is South America’s finest national park! Don’t miss the azure lakes, trails that wind through lush forests, rivers you’ll cross on rickety bridges and one big, stunning blue glacier. It’s an almost unequalled destination for hikers, backpackers, and ecology-lovers alike.